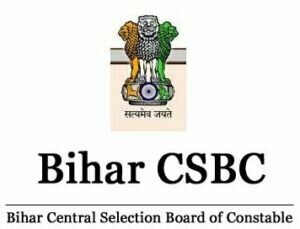 Bihar Police Subordinate Services Commission is going to announce Bihar Police Sub Inspector Admit Card 2017 on the official website that is www.bpssc.bih.nic.in. The organisation is looking for eligible candidates for 1717 Sub Inspector, Daroga posts. The candidates can download the hall ticket from the official website by using their registration number and date of birth. The exam will be organised in the month of November 2017 and the hall ticket will be available in the month of October 2017. Bihar Police Subordinate Services Commission has released a job notification for the recruitment of Sub Inspector, Daroga posts. To make the selection, the authority will conduct the written test and the interview. The candidates who score more than the cut-off marks in the written test will be eligible for the next level of the selection process. Eligible candidates can download the admit card from the official website- www.bpssc.bih.nic.in to appear for the exam on the scheduled date. To start your exam preparation, the candidates are required to download the syllabus and exam papers from the official website.